San Diego State University Bioscience Center – McParlane & Associates Inc. The San Diego State University Bioscience Center project consisted of a new 33,300 sf, 5-story, Type-II, 1-hour fully sprinkled biological science laboratory research building. The Bioscience Center consists of BL-2 laboratories, support offices, a seminar room, and vivarium space. 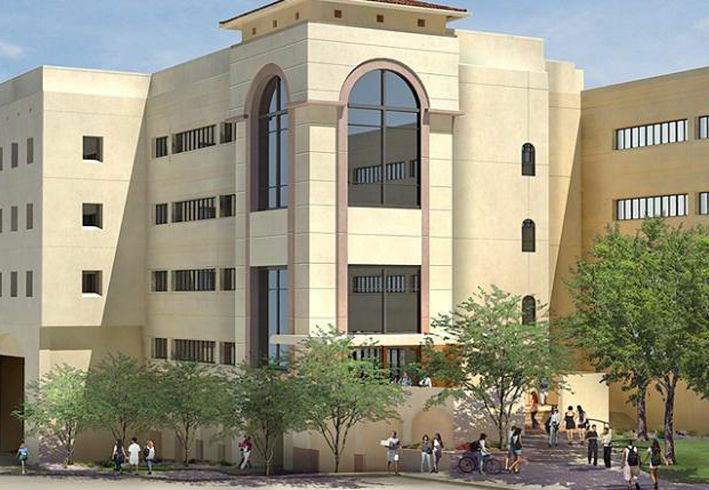 The project is an addition to the existing North Life Science (NLS) building located at San Diego State University. The Bioscience Center was designed and constructed with independent systems capable of standing-alone and not dependent on the NLS building for reasons other than circulation connections at the basement and fourth floors and provision for future connections at other levels. Design features included a natural gas system to serve the laboratory equipment, biohazardous waste kills system for BL-3 laboratory fixtures, and a deionized water distribution system.